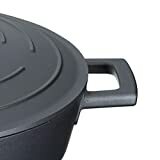 The cool, speckled grey interior is actually a double coating of extra-tough, chemical-free non-stick that needs very little oil - if any - to release whatever you cook inside the pan. 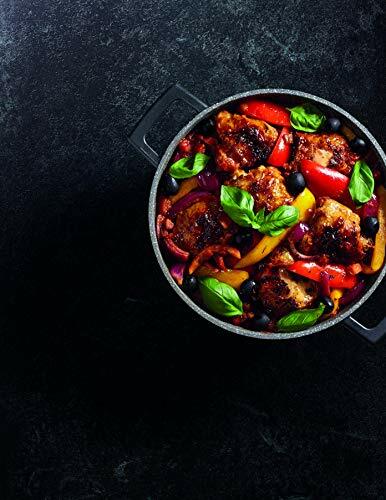 Perfect for braising, sautéing or stir-frying meat and vegetables, your cooking can be as heathy as you wish it to be. 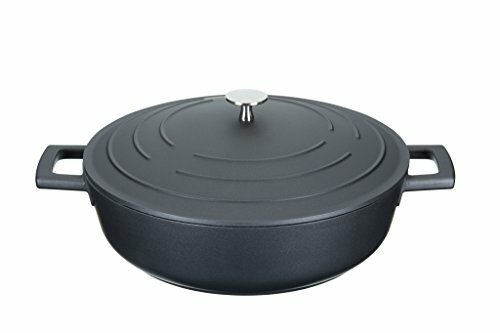 Incredibly hard-wearing, the coating is the main reason behind this pan's impressive 25-year guarantee. 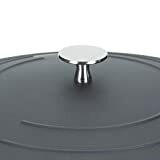 The interior of the lid is coated with the same non-stick, but what makes it special is the pattern of little 'nodules' that encourage any steam to condense back into the pan, basting the contents to keep all the delicious juices and flavours inside. It's perfect for slow-cooked soups, stews and casseroles, ensuring that all the goodness of your ingredients stays firmly inside the pot for you, your family and friends to enjoy. 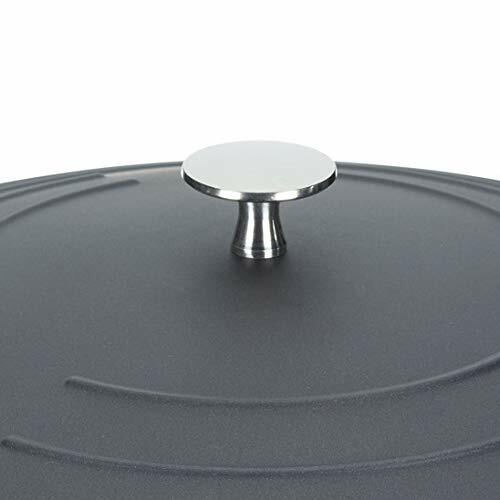 The smart, polished stainless steel handle makes a lovely finishing touch to this oven-to-table cooking pot. 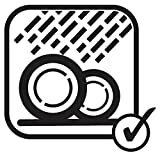 Because the interior non-stick is so impressively quick-release, cleaning the pan is ultra-easy - a quick handwash will bring it up gleaming, but it can go in the dishwasher for speedy clean-up. Oven safe up to 200C.